This massive art and culture complex has become so influential that it has become indispensable to the city’s cultural identity. Furthermore, in the Grand Theatre foyer (which itself is frequently used as an event space), you’ll find a café. Altogether, the complex is instrumental in the development, production, and exhibitions of operas, plays, dance performances, concerts, sculpture, photography, painting and multimedia. Check the websites for the above mentioned venues for their specific hours and event ticket prices. Prices depend on the individual event being visited. 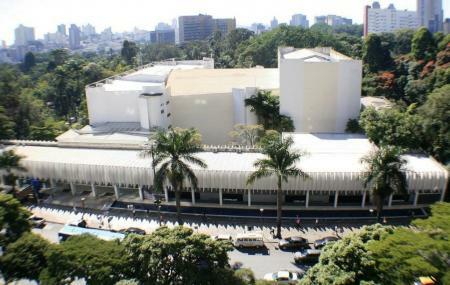 How popular is Palacio Das Artes? People normally club together Praca Da Liberdade and MM Gerdau - Museu Das Minas E Do Metal while planning their visit to Palacio Das Artes. Seats are old and uncomfortable. People film during show and no staff around to stop them. The air-conditioning is never turned on so it is hot as hell. Great experience! Art galleries, movie room, plays, Chamber Music, Opera, Orchestra, Ballet Company, Opera Choir. Everything in one place. Fun exhibitions of international bienal artists. Always great shows, and plenty of different venues. The main theater is very comfortable and great for operas. The acoustics are excellent. The central location is also really good, and it's usually possible to park at the avenue in front of it after 8:00 p.m.